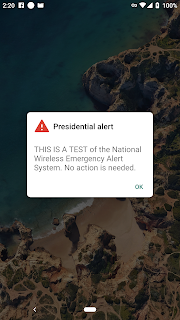 Today, the United States is set to receive its first ever "Presidential Alert", a routine test of the National Wireless Emergency Alert System, from the Federal Emergency Management Agency (FEMA) in coordination with the Federal Communications Commission (FCC). The test was previously scheduled for September 20, but was later delayed due to Hurricane Florence. 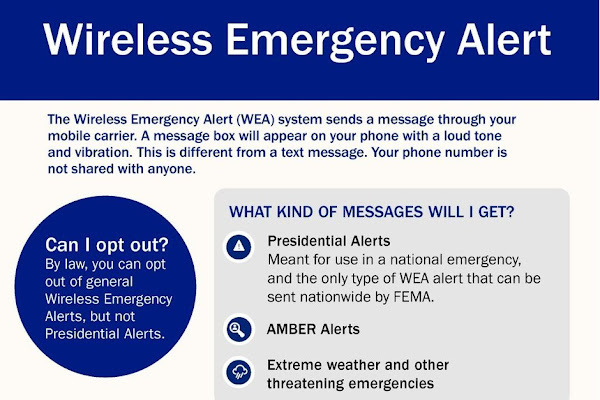 Every single US cell phone connected to wireless providers participating in WEA (Wireless Emergency Alerts) will be buzzing around 2:18 p.m. EDT. 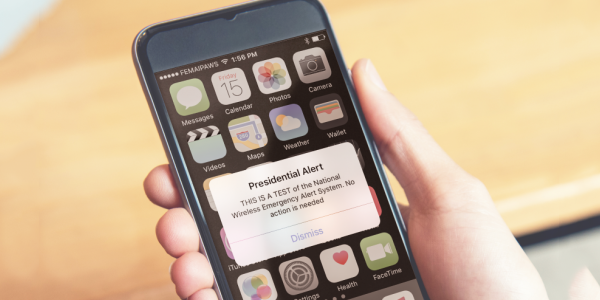 As long as your phone is switched on and within range of an active cell tower, the alert should pop up no later than 30 minutes after the beginning of the test broadcast. While “no action is needed” on the part of recipients, the only way to dodge the notification, accompanying tone and vibration is to turn off your handset between 2:17 and 2:49 p.m. When the news of this alert initially went out, along with the fact that it cannot be opted out of, many questioned the legality of not being allowed to opt-out of it. Others were concerned about the WEA system being used to for political purposes. According to tech security researcher Stephen Cobb, people are willing to pass up the benefits of having a national emergency system because they are afraid that the president could abuse the system. Jeramie Scott, director of the Electronic Privacy Information Center’s Domestic Surveillance Project, would like to hear more about the WEA system, which he calls intrusive because it stops all communications to your phone while it processes the message. Scott would prefer that the U.S. stick to the Emergency Alert System (EAS), which sends warnings over radio and television. However it doesn't look like its something we should be worried about as the FEMA assures that it will be used to warn the public only in instances of dangerous weather, missing children, and other "critical situations." There is actually a law called The Integrated Public Alert and Warning System Modernization Act of 2015 that prevents this, or any future president, from using the system for anything other than alerting the public about a national disaster. The F.C.C. says the Wireless Emergency Alert System has been used by local governments more than 40,000 times since 2012. In addition to the Wireless Emergency Alert on your phone, you may see a warning displayed on television and broadcasted on radio at 2:20 p.m. EDT as part of EAS (Emergency Alert System) testing. 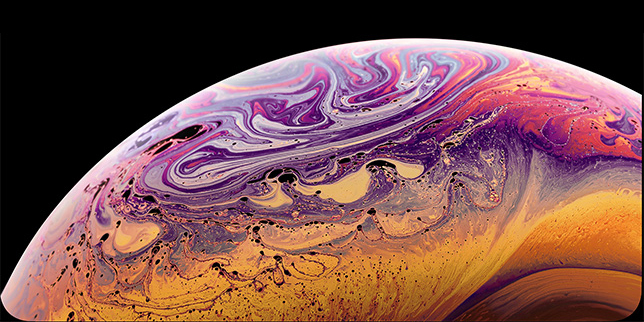 This is scheduled to last approximately one minute, following similar experiments conducted in November 2011, September 2016, and September 2017. Unlike the EAS, the WEA system will be tested on a national stage for the first time ever later today, so all eyes are on the FCC and wireless carriers.